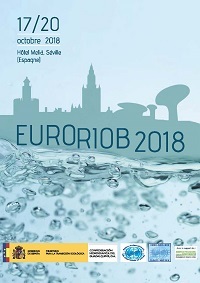 The International Conference "EUROPE-INBO 2018" for a better implementation of the European Water Directive was held in Seville, Spain from 17 to 20 October 2018 at the invitation of the Hydrographic Confederation of Guadalquivir. 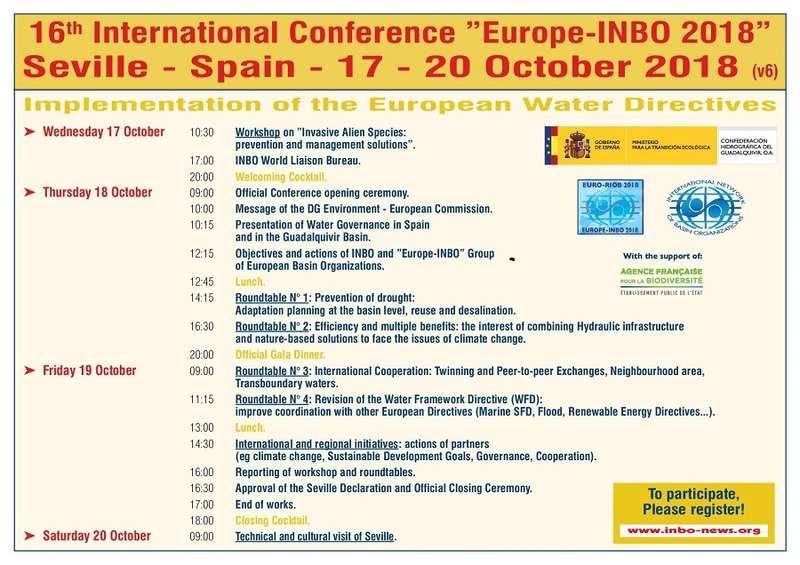 The meeting of the INBO World Liaison Bureau was held on Wednesday 17 October 2018 from 17:00 to 19:00 at Hotel MELIA SEVILLA. Roundtable 1 - Prevention of Drought: Adaptation Planning at the Basin Level, Reuse and Desalination. Roundtable 2 - Efficiency and Multiple Benefits: The Interest of Combining Hydraulic Infrastructure and Nature-Based Solutions. Roundtable 4 - Revision of the Water Framework Directive (WFD): Improving Coordination with other European Directives (MarineSFD, Flood, Renewable Energy Directives…). 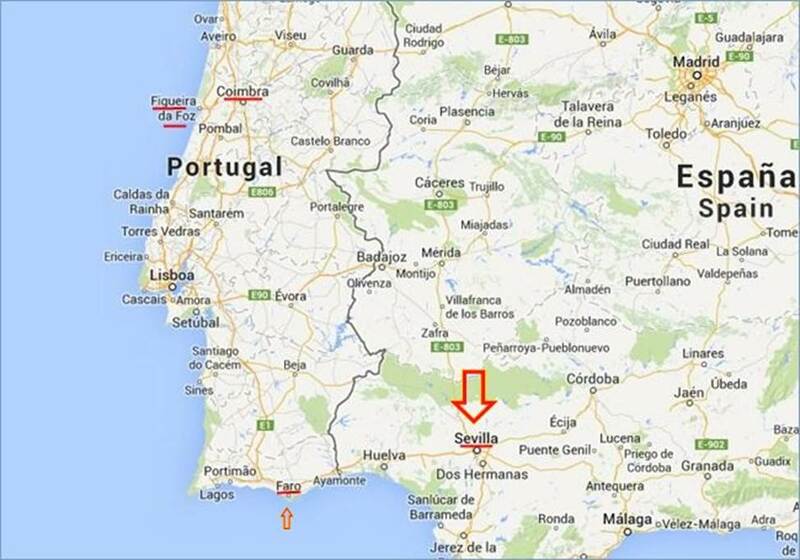 A technical visit will be organized to discover the hydraulic installations of the 1992 Universal Exhibition site on the La Cartuja island, but also the emblematic monuments of Seville history, such as the Spain Square (Ibero-American Exhibition of 1929), and, in the old town, the Cathedral and its Giralda and the Alcazar. SDG6: The world is not on the right track…unlessweall acttogether! Révision de la DCE - Comment améliorer la cohérence entreles directives européennes ? Vers une Directive Européenne tropicalisée ?